Hello! We are Sci Fi @ Tech and we reside in Skiles 349A. 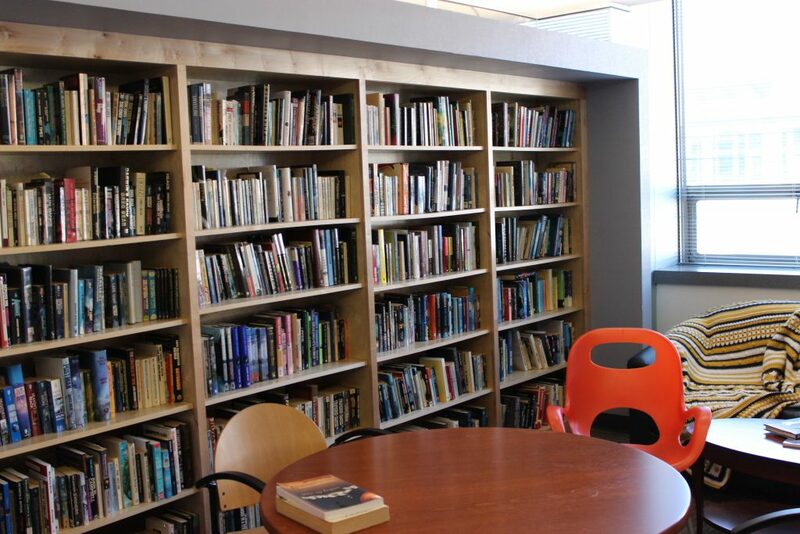 We find ourselves every day grateful to be close to the Crosland Tower Sci Fi Lounge, where you can stop by and browse or take books home to enjoy. 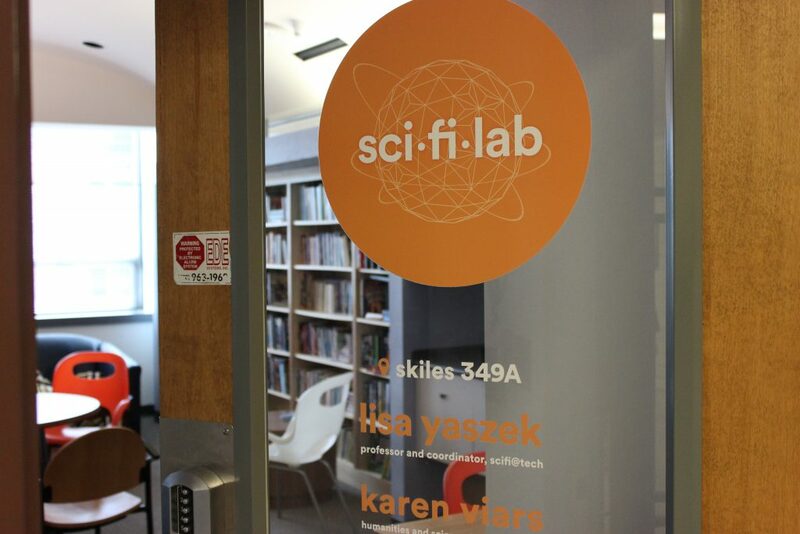 If we’re not discussing the latest Sci Fi news or movies, you can probably find us hanging out in our Skiles space exploring the realm of Science Fiction. Please feel free to stop by or email us at lisa.yaszek@lmc.gatech.edu. We love hearing what you have to say and answer any questions you might have! Georgia Tech has a longstanding tradition of commitment to science fiction studies. GT literature professor Irving “Bud” Foote taught one of the first accredited college-level classes on this subject in 1971. Since 2000, Professor Lisa Yaszek has taken point on Georgia Tech’s science fiction initiatives. Yaszek teaches science fiction classes, runs a research lab where students contribute to the ongoing development of an online science fiction dictionary, and serves as faculty liaison for visiting scholars pursuing science fiction studies at Tech. Sci Fi students at Georgia Tech have access to a variety of resources, including professors and a collection of books accessible in Crosland Tower. 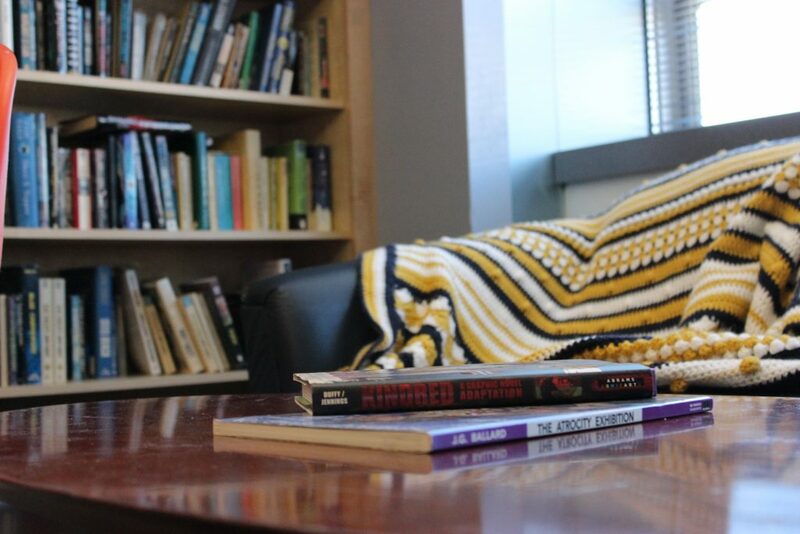 Students are also able to research and read about Science Fiction related topics from other universities and enjoy the Skiles 349A lounge during business hours.